Dive into the Renaissance-inspired artwork at the two best galleries in Florence. An audio guide will be providing commentary about the artwork and the galleries as you explore the venues. Immerse yourself in the arts and sculptures which are among the best in the world! Discover the plethora of artwork on display at this incredible gallery. 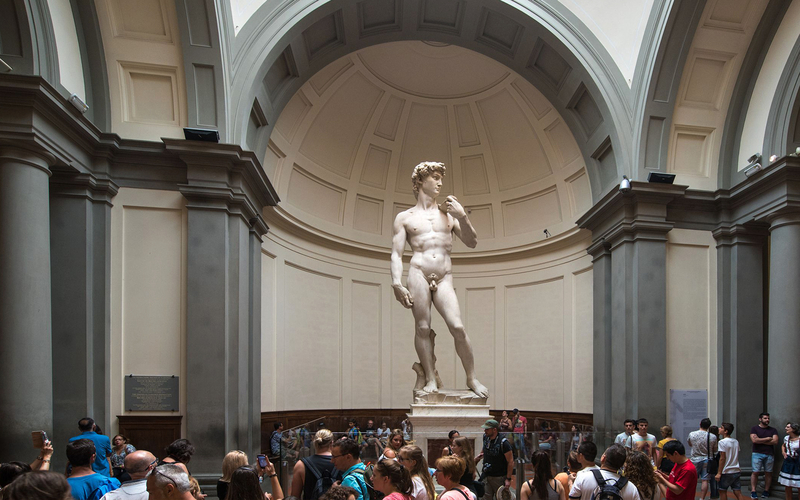 Immerse yourself into the world of Michelangelo and laud his famous sculpture - David. Browse the other artwork in the gallery including the ‘I Prigioni', ‘San Matteo', ‘Palestrina Pieta’ and much more! 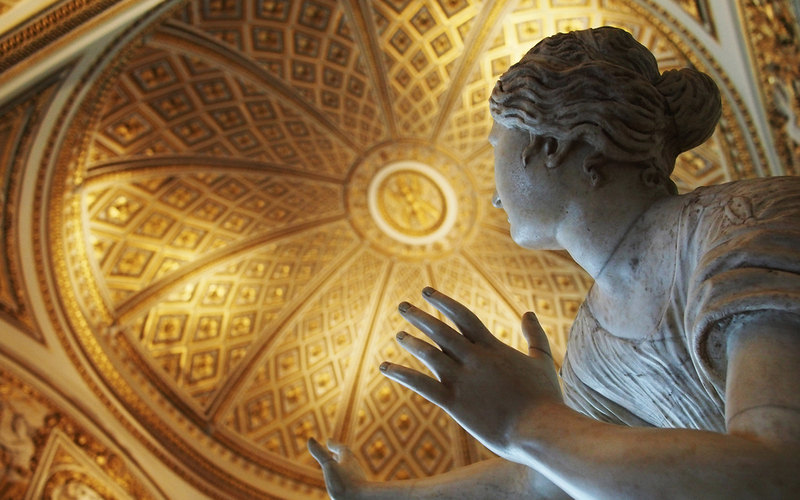 Explore the jewels at the Uffizi Gallery at your own pace! With numerous works from prolific painters all across the ages - including Botticelli, Leonardo da Vinci, Michelangelo, Giotto and many more! Be sure to check out the world-famous masterpieces of Botticelli on display, namely the ‘Primavera’ and the ‘Birth of Venus’. Entry for children between the ages of 0-6 year is free of charge. No Audiguide provided. The galleries are closed on Mondays. Your voucher will be emailed to you shortly. Please display the same on your mobile phone with a valid photo ID to your assistant at the Meeting Point. 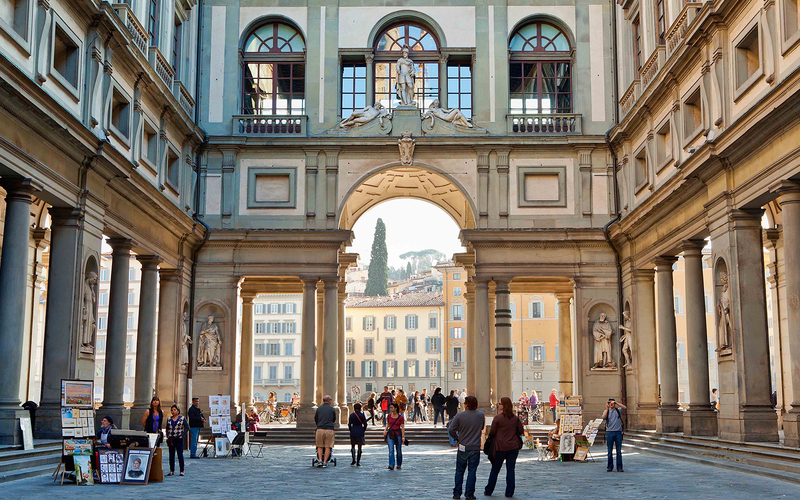 Morning Option: Uffizi Gallery, Piazzale degli Uffizi, Door n. 1, Florence. An assistant will be wearing a yellow colored jacket for easy recognition. Afternoon Option: Accademia Gallery main entrance, Via Ricasoli 58/60, Florence. An assistant will be wearing a yellow colored jacket for easy recognition.